Some might say tablets have the perfect screen size to be installed in a car's dashboard. Also, the tablet screen itself is way more responsive and sharp compared to OEM systems or aftermarket head units. Which means, using a car-friendly interface on a tablet would be a lot easier. But getting car-friendly software onto a tablet often requires countless hours of coding. Take the iOS jailbreak tweak 'Ignition' for example. Ignition brings Apple CarPlay to your jailbroken iPhone or iPad and it works great. 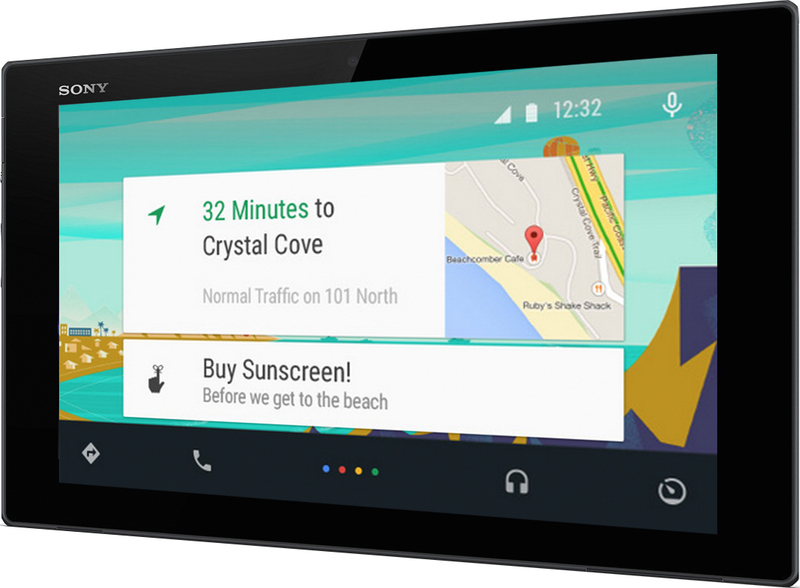 On the Android front, Android Auto is relatively new compared to CarPlay. But it was only a matter of time before an Ignition-like tweak surfaced. That's where a recently developed app called 'Aahead' comes in. Read along for more details. Aahead is the brainchild of developer 'mikereidis' who has posted all the info you need in a thread on XDA-Developers Forums. There is a lot of information and updates to the project posted in the thread and I have tried to go through as much as I could. Let me try to summarize what I've learned so far. Disclaimers: Before going further, I should mention it is important to read the disclaimers regarding use of this app. It is still undergoing transformation but when using an app like this, one should take the necessary precautions to ensure safety while in the car. It is advisable to use the software when the vehicle is completely stopped. Also, watching video on your car's dashboard while driving is illegal. Proceed at your own risk. The way Aahead is designed to work is by connecting your Android tablet to a compatible Android smartphone. It works similarly to how Android Auto works in a car or aftermarket head unit. The software runs on the smartphone while the interface is displayed on the external device (in Aahead's case, the tablet). There are some prerequisites to get Aahead to work. You will need an Android tablet running Android 4.4 KitKat or higher, according to the developer and no root or system hack is required. Lower versions of Android may also work. The developer also suggests that smartphones that work with Android Auto on a Pioneer head unit will work. The smartphones that aren't compatible with a Pioneer head unit in running Android Auto will also have issues running Aahead. How to connect: The Android tablet needs to have the Aahead app downloaded. Do not launch the app before the necessary cable connections are made. The smartphone has to be connected to the tablet using a USB OTG cable. The micro-USB end of the cable needs to be plugged into the tablet. With this setup, the issue is that the tablet can't supply power to the smartphone. As a result, the phone and/or tablet can die soon when being used. To avoid this a powered USB can be used and is recommended. The phone running Android Auto should be plugged into the USB hub's output and should be the only device so plugged in. Otherwise, connectivity issues could arise. After the necessary connections are made, the developer advises users to wait at least 6 seconds before launching the Aahead app on the tablet. You will be prompted to allow access to USB twice. Some pop-ups may also show up when connecting on the tablet but these can be gotten rid of by hitting cancel. Current Issues: Apart from the pop-ups, currently there are a few other issues with Aahead. For example, although touch functionality is supported, multi-touch isn't. Audio output is through the phone for now but the microphone does not work. Other issues include, the Android Auto connection breaking when hitting the back button in the Aahead app. To reconnect, you have to disconnect and reconnect the USB. When doing so, the screen may change orientation which would require you to tilt the tablet to get it to landscape mode. There are also issues with resolution at the moment, especially when using custom DPI settings. These issues are expected with a new app and hopefully will get ironed out in the coming weeks. Aahead is a very promising venture which hopes to get Android Auto to users who can't afford an aftermarket head unit. If you are interested in learning more about Aahead and keeping up with the progress of the build, head over to XDA-Developers Forums. I also recommend donating to support the developer. And lastly, in his own words, enjoy responsibly! Thanks to "sdavisnz" (Twitter) for this news tip. Note: Top image is a rendering for illustrative purposes only. I think Google has removed my Headunit app for Android Auto permanently from Google Play. I think they will not approve any HU app for Android Auto. Google deserves some bad publicity for this, and maybe they will change their stance.